This was a case that presented to me in Community Dental Services. The little boy was referred for extractions but I noticed this unusual appearance of his lower incisors. The appearance is of two teeth that had joined together (fusion) or two teeth that had failed to separate, much like Siamese twins (gemination). It's natural when you see something unusual clinically that you want to share it with colleagues. It's an excellent opportunity for your learning as well as shared learning throughout the profession. 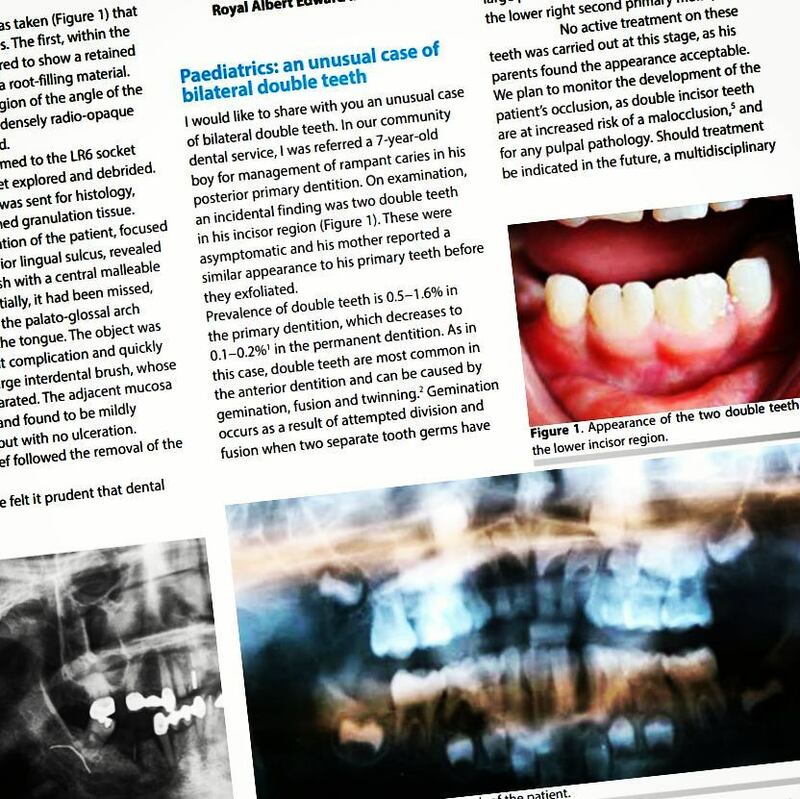 In this case, although no active treatment was required for the anomaly at this stage, I documented the case and this encouraged me to do some further reading about this sort of dental anomaly. I would encourage you, if you see some unusual cases or cases that are interesting to take clinical photos and document them well as an opportunity may arise where you can share the information, such as in this case a written case report, oral presentations or like I have done in the past, poster presentations. Have you seen any double teeth in practice before? Let me know in the comments below.